Nora Zietz and Robert McE. Stewart were found to be Liable for Negligent Misrepresentation by the Circuit Court of Anne Arundel County, Maryland. The Court of Special Appeals of Maryland Affirmed the Decision. 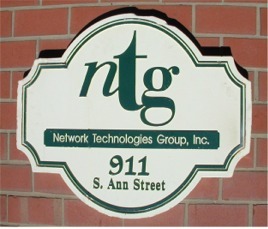 Zietz and Stewart were directors on the board of Network Technologies Group, Inc. tasked with a search for an interim CEO. They are each professional investors who were representing firms who had invested in NTG. Ms. Zietz was an employee and Director of the Abell Foundation, a majority stockholder. Mr. Stewart is a Managing Partner at Spring Capital Partners, the second secured lender. They hired Strategic Management Partners, Inc. to fill that position, and John M. Collard became the Interim CEO. In order to lure a new CEO they misrepresented the real financial condition at NTG. It was revealed much after the hiring that Zietz wrote a letter on behalf of the board to the former CEO wherein she stated that NTG "Was in Danger of Collapse", among other facts, but withheld that important information from Collard. They knowingly withheld information during the hiring process when they had a clear obligation to disclose pertinent facts knowing that Collard would rely on them. Zietz and Stewart were not completely truthful in their dealings. John M. Collard was hired as Interim Chief Executive Officer on July 1st, 2002, and found bank fraud, theft, money laundering, and accounting irregularities on July 2nd. The company was forced to liquidate amidst Federal and State Investigations. Four top executives were indicted on federal charges of mail, wire and bank fraud; three do time in Federal Penitentiary. Mercantile recovers only $2M of the $3.5M it had invested. Other investors and lenders lose their investments. The company grew to $30 million in 2001, but then the telecommunications slowdown was a catalyst for management to 'cook-the-books'. The company could not find additional investors to put in more cash and couldn't make payroll July 12th. Collard was forced to lay off all 125 employees, while authorities looked on. Police presence was necessary to maintain order. The company assets were auctioned off to partially repay Mercantile, the primary secured creditor. Strategic Management Partners, Inc. was caught in the process of closing the company, and was exposed to personal liability, yet was not being paid. SMP brought suit against Directors Nora Zietz, Robert McE. Stewart, Abell foundation, and NTG. After a lengthy litigation, SMP prevailed and Zietz and Stewart were found to be liable for negligent misrepresentation. Several News Publications Picked Up the Story of NTG's Demise and the Outcomes of Litigation in this matter. "Nora Zietz and Robert Stewart made material misrepresentations during the course of their negotiations"
"Nora Zietz and Robert Stewart were negligent in their dealings with a turnaround consultant hired for the company"
Court of Special Appeals Upheld a $59,500 Verdict Against Two Former Directors of Network Technologies Group, Inc. Circuit Court Decision Finds Zietz and Stewart at Fault and Liable for Negligent Misrepresentation. Orders Judgment in Favor of Strategic Management Partners, Inc.
Court of Special Appeals of Maryland Affirms the Judgments of the Circuit Court. Finds Zietz and Stewart at Fault and Liable for Negligent Misrepresentation. Affirms Judgment in Favor of Strategic Management Partners, Inc. Copyright © 2002-2007 Strategic Management Partners, Inc.